Cutting wet grass and wet lawns is a bad idea. The clumping wet clippings can breed fungus. With this lawn care tip, Doc shows you how to cut your lawn 2-4 hours earlier in the day. We use hoses to knock off the dew which allows the grass to dry MUCH quicker. 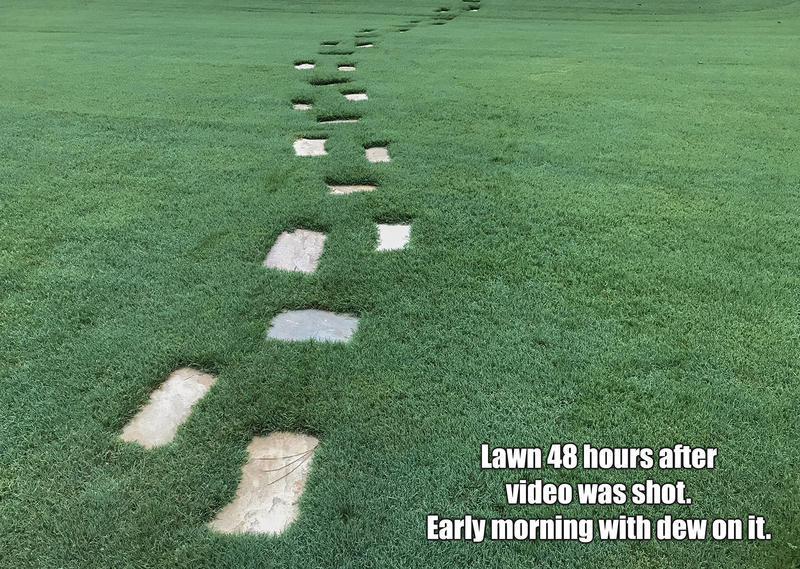 It’s a lawn care trick used by golf courses everywhere. Not only for turf care, but it allows players to play early as well. Here’s an update picture showing the lawn 48 hours later.